Miss Julieann's Therapeutic Songs for Kids is an album that can be used by parents, teachers, special education teachers, librarians, speech therapists, physical therapists and occupational therapists to help them motivate and address any child's unique needs. 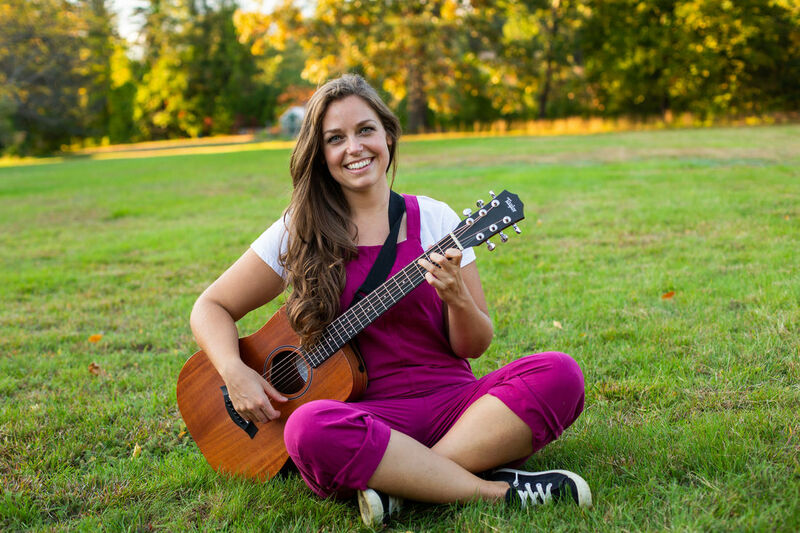 Why Miss Julieann's Therapeutic Songs for Kids? Julieann Hartley, MT-BC, NMT and NTP is a board certified music therapist and the Music Therapy Program Director at the Concord Community Music School, located in Concord, New Hampshire. After obtaining degrees in both music therapy and psychology, she graduated from Anna Maria College as valedictorian. She currently works with all ages, from newborns to the elderly, and all needs whether it be in the social, emotional, behavioral, communication, cognitive, physical or academic domain. She has witnessed many children's first words as well as other "firsts" and hopes to continue to facility many "firsts" around the community. Besides for music, she has an interest in hiking (she completed the Appalachian Trail in 2015), rock climbing and nutrition (she is also certified as a Nutritional Therapy Practitioner).